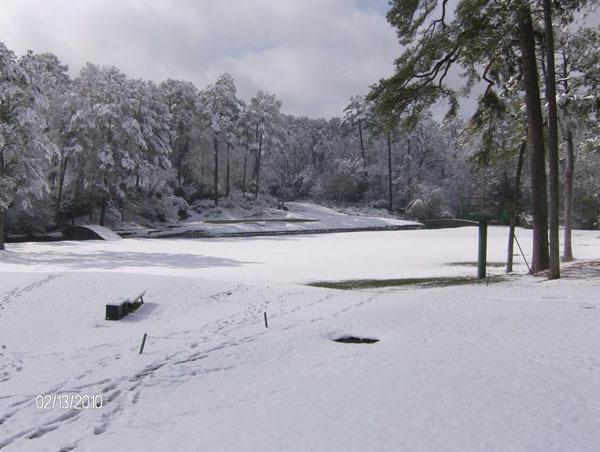 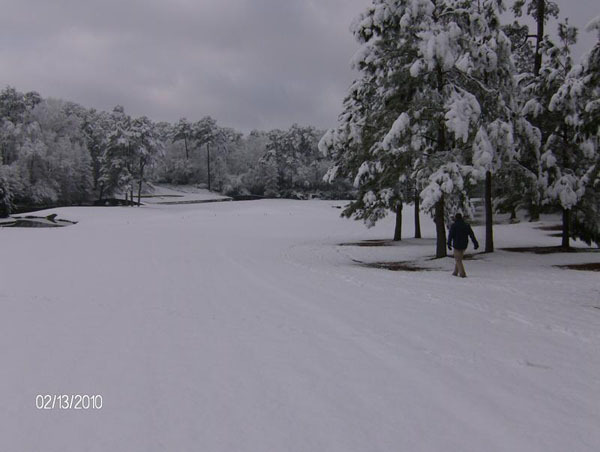 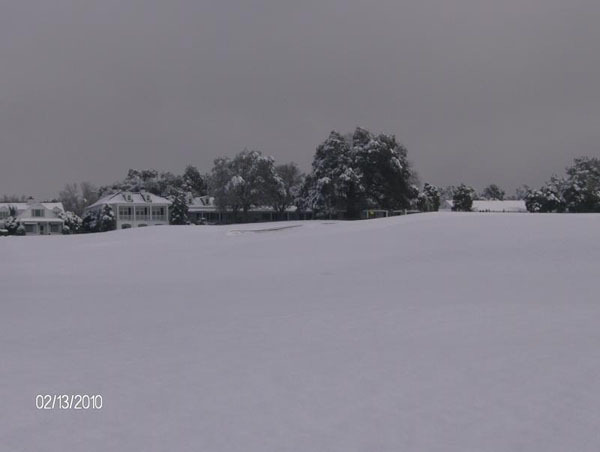 This is what the Augusta National Golf Course (home of the Masters) looked like after a recent snow storm. 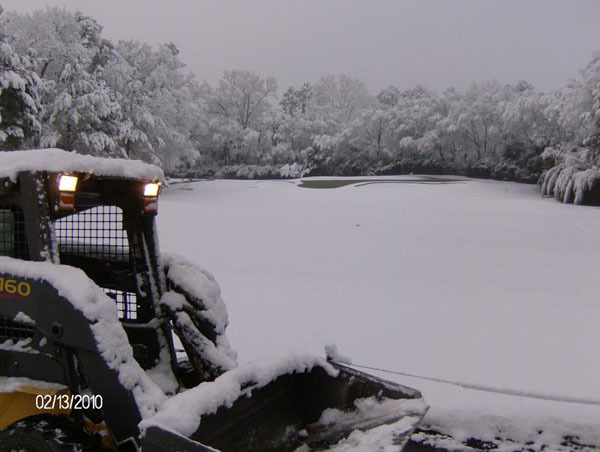 We ended up with something like 4 to 6 inches overall. 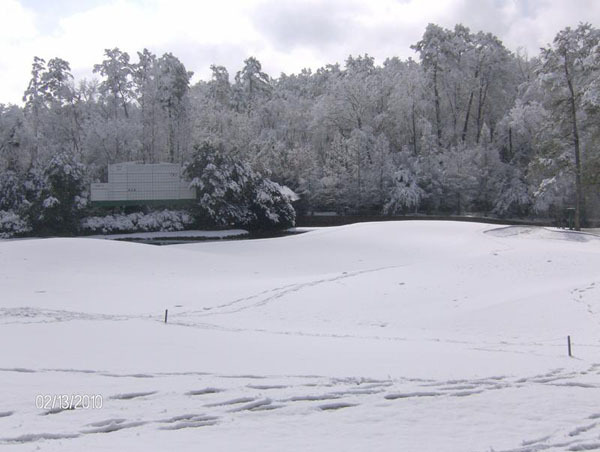 About 50 days away from the tournament and this is what the course looked like when I came in this morning. 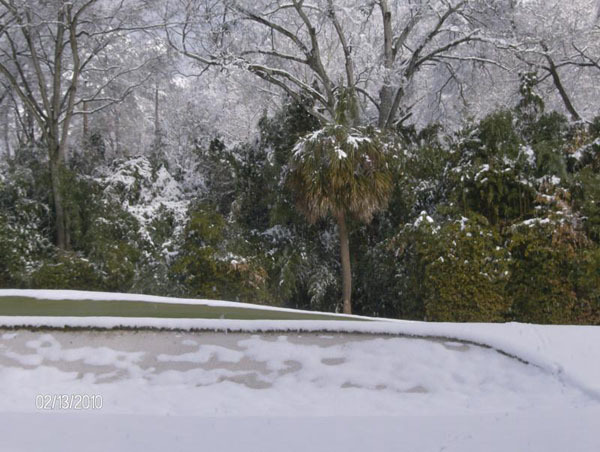 My personal favorite picture, besides the ones of Amen Corner, is the photo of hole #4 and the one palm tree on the property. 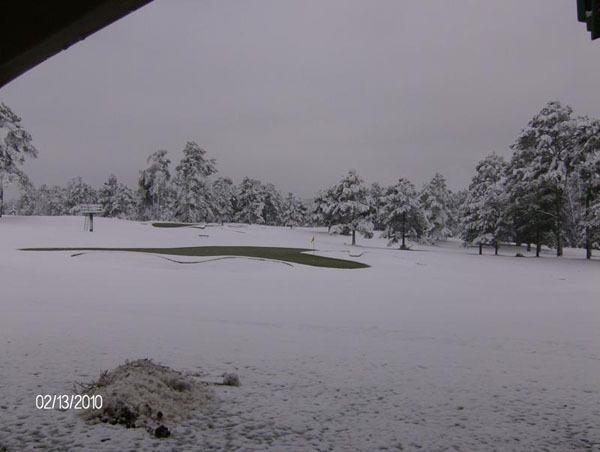 It is also interesting to see how much difference the hydronic coils make in the soil temperatures. 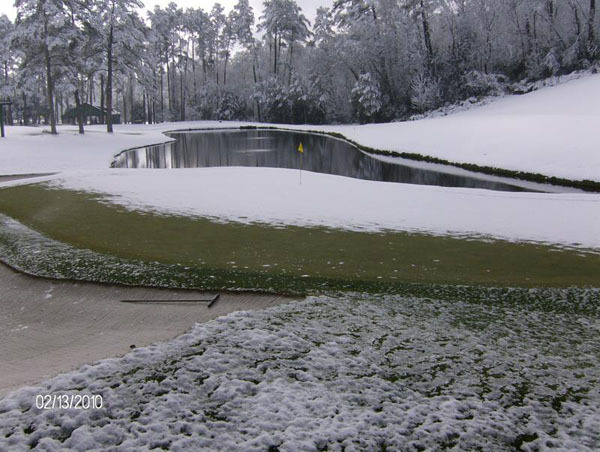 No snow on any of the greens that have coils underneath them.